Some went because they were loyal to the deposed Stuart king while others yearned for an entirely new ambition - the freedom to think as they chose. Then there were the desperate: starving and impoverished people who went because things had not worked out in the Old World and there was little to lose from trying again in the New. Emigrants casts light on this unprecedented population shift - a phenomenon that underpins the rise of modern America. 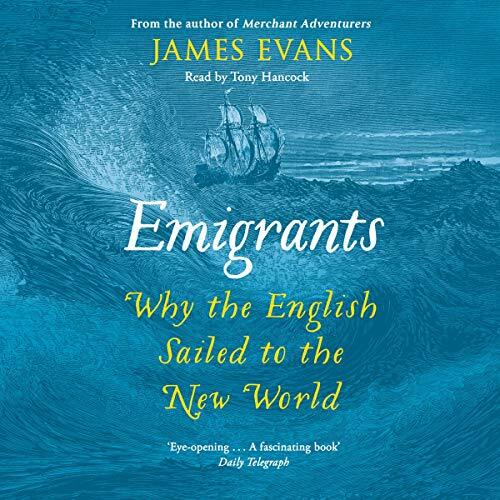 Using contemporary sources including diaries, court hearings and letters, James Evans brings to light the extraordinary personal stories of the men and women who made the journey of a lifetime.